Be sure to choose pin or magnetic fastener! Some calculations are done on the cart page. Continue through checkout to view the updated price. 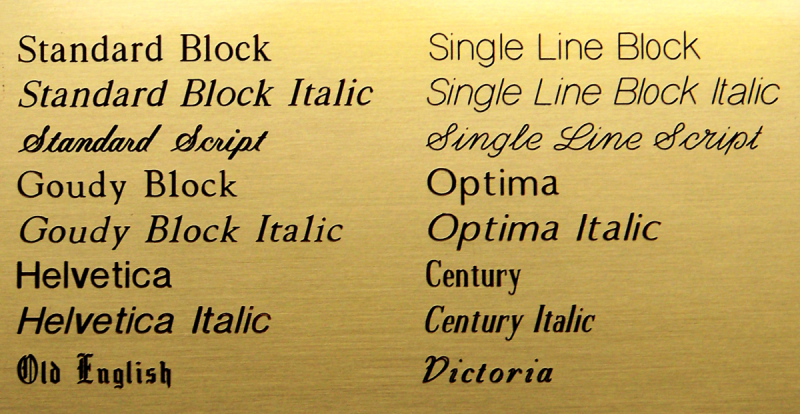 Note: Victoria, Century and Standard Script are OUTLINE fonts--will not engrave solid. We do not recommend ALL CAPS for Standard Script or Single Line Script.